The 90 degrees was opened as a Stage Club. 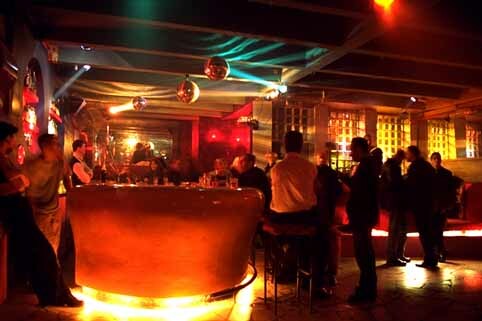 The Disco moved periodically the ambience and decor of the club to a specific theme. The first themed nights were Chinatown, Atlantis and the Kingdom of the Pharaohs. The music style is guided by house, disco classics, R'n'B, soul, funk and electro. In 2007 the location was redeveloped from scratch. Nevertheless, the famous club currently paused. On the homepage www.90grad.com disco-goers can register for selected VIP evenings. True to the motto: " The past is not dead In fact, it's not even past" can be found on the site’s pages moments of the club's history. Unlike most clubs in Berlin, where there is the principle of "the more strange, the more fashionable", the club 90 Grad involves strict dress code. Sneakers, T-shirts and jeans are best left at home. Face control is very strict, so many party-goers, though, well-dressed, left holding the bag. So just smile and pray to get inside! 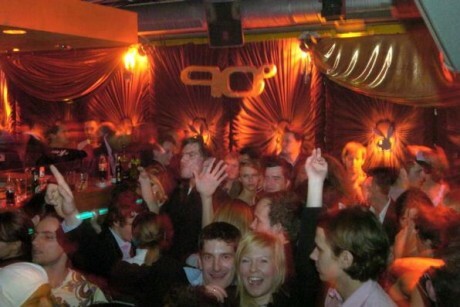 The club amazes a large dance floor, well-trained staff and smartly dressed visitors. The musical (and sexual) direction depends on the day of the week: Thursday - fun gay party, Friday playing house, and Saturday - the classic dance tunes. In October 1989, Britt Kanja and Bob Young founded their club 90 degrees in an empty hall of a car repair shop in the Schöneberg district. They began as a start-up, has developed into a party location of the class. Its name comes from the loading of the 90-degree bend in the road elector. In its heyday, A-list celebrities such as Leonardo DiCaprio, Britney Spears and George Clooney danced late into the night at 90 degrees.